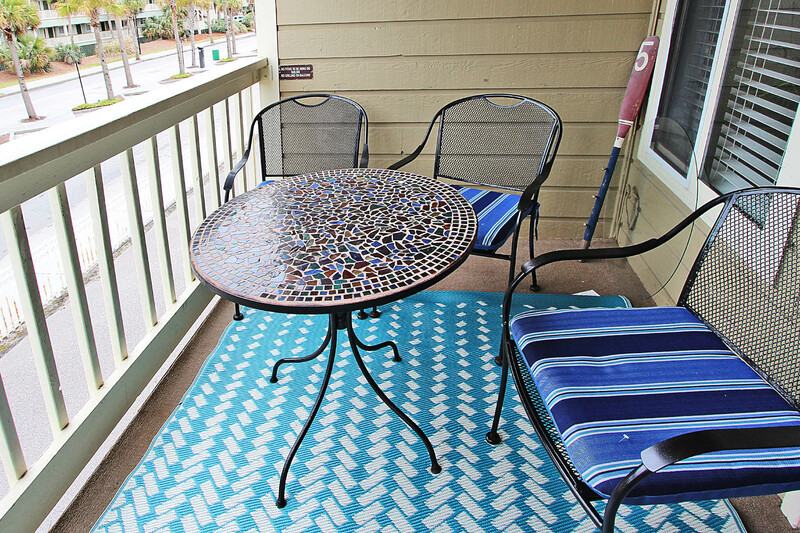 Beautiful remodeled two bedroom, two bath condo across the street from beach. Freshly painted march of 2018, this condo features include: Full-size kitchen with new stainless steel appliances, hardwood floors. Relax on the New queen sleeper sofa as of March 2018 after a long day at the Community Pool. 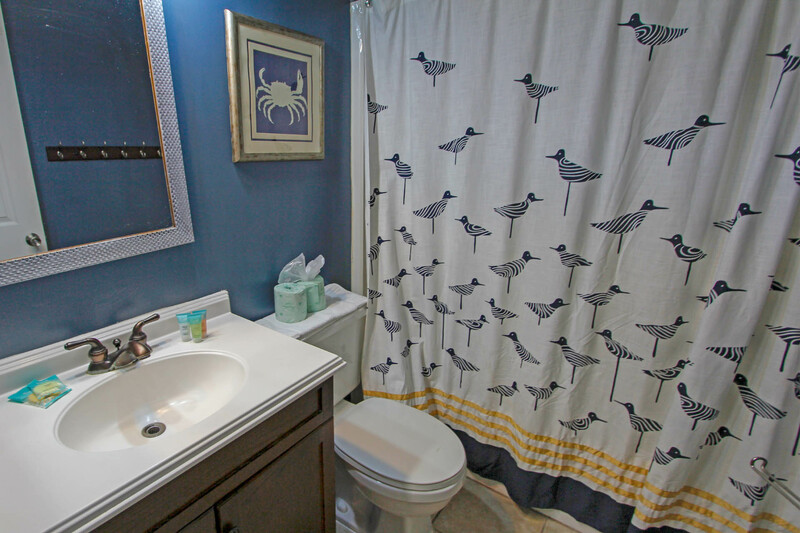 Enjoy Priivate access to private fishing pier and access to Laundry Facility (across the street). Oceanview from private balcony. Stereo and 27" television plus DVD/VCR in living room. 980 square feet. It was very a good location even though across the street from the beach. The condo was ok all the carpet is dirty, in the bedrooms and on the porch, and the beds a little hard. Other than that everything was good. The rental property was nice. 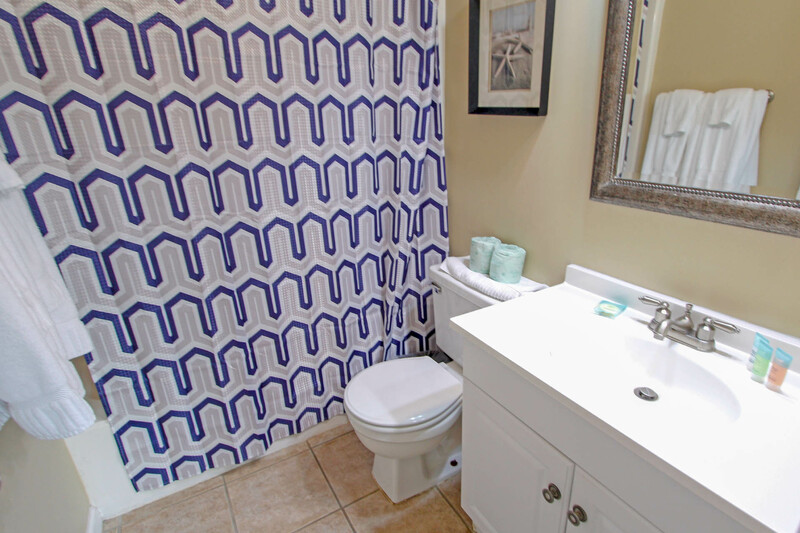 Loved the floors in dining area and bathrooms. Carpets were not very clean, need attention. The location was perfect. Frig and kitchen were fine, toaster needs updated. Place was clean and did not smell. I would go back again. 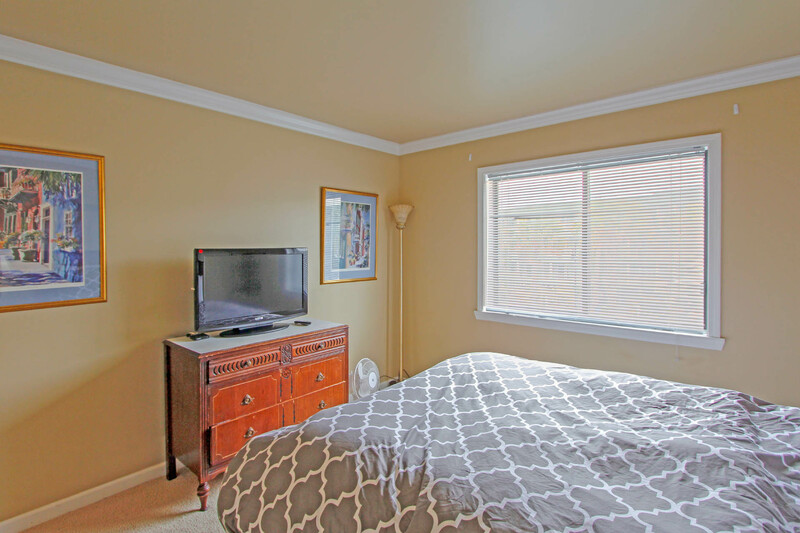 This rental is not at all shown in pics or described. The kitchenette is hardly stocked for 6 people to use a fork and/or spoon at the same time. There are no teaspoons, storage containers-I bought some and left them. Plates are bowls are an issue, too. The furniture in the master bedroom is horrendous--poorly painted tops of furniture, mattress is awful, carpet is scary gross. The bathrooms in poor shape with water damage on the ceilings and doors. This place needs to be updated and it would not take that much to do it--owners should be embarrassed. The condo for the most part was very good. The dishes were not clean in the cupboards when we arrived due to the dishwasher not working properly. The soap dispenser did not open during the washing process. Cute balcony facing ocean so you can see the water and see all the street action. We love the location. Park your car and walk to food(Subway for beach, Acme for breakfast and dinner, Ben and Jerry’s anytime) shops, grocery, and live music. Interior is nice enough to feel updated and welcome. While I don’t cook on vacation the kitchen appeared to have all you would need. Would definitely stay again. We enjoyed our stay in C210. The condo was clean and well stocked. The bed was very comfortable. As other reviews stated- owners should update furniture. The couch is very worn and dingy. 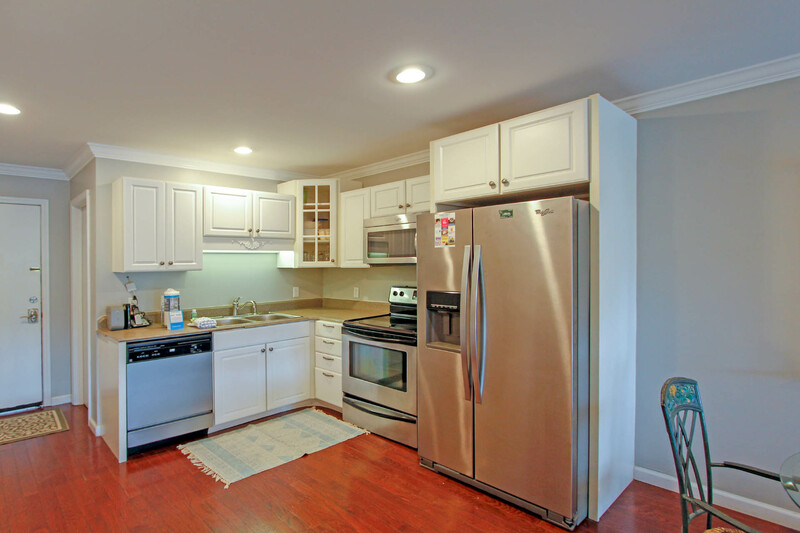 We had a problem with the dishwasher and garbage disposal, but Island Realty had it repaired quickly. We were very impressed with Island Realty. The staff were awesome. We will definitely book through Island Realty again. The location of the condo was great. Close to beach and pier. Everything was great except the unit below us was being worked on. I think they were putting in new flooring. Good experience except for no air in the unit. After calling at 11 pm got repaired around midnight. Let me start by saying we did enjoy our stay but the sofa in C210 was very dirty and needs to be clean ASAP or replaced. We covered it with sheets just so we felt comfortable sitting on it. I was not going to complain about this one thing because I did not want it to ruin our vacation but then I thought maybe they are not aware of the sofa being so soiled. After I read some reviews on this unit I see that it was a constant complaint. I did stop in at the front desk on Sunday to report this matter...would not recommend this unit to friends due to dirty sofa. One more small thing. I needed to request a late check for Monday and was told I would have to call housekeeping the morning of check out. I called no answer. Called the front desk and the young lady tried housekeeping as well, no answer. I asked if anyone else could approved the late check and was told no it had to be approved by housekeeping, by this time it almost 9am and check out is 10am. I finally got housekeeping shortly after 9am and was told a firm no on by request for a late check out. Island Realty would like to tahank you for your feedback. Please note that this condo has been freshly painted and there is a NEW sofa bed as of March 2018. It is regrettable this was your experience. 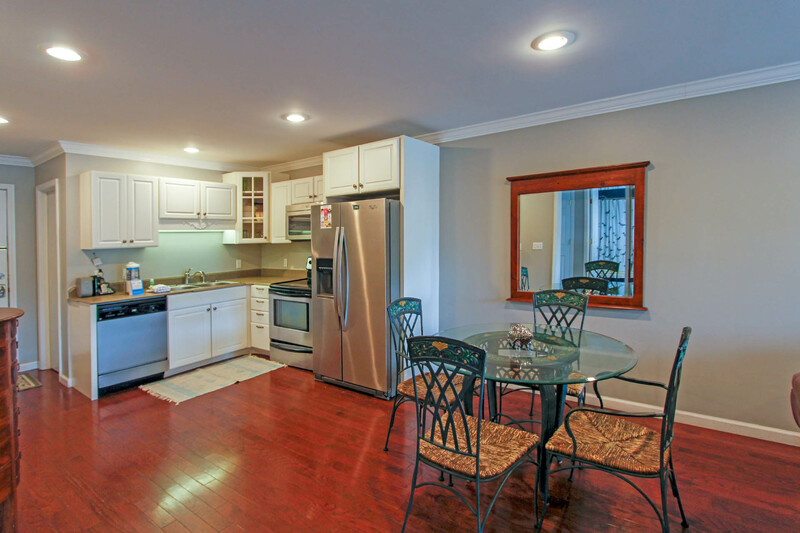 We would like to invite you back to enjoy the upgrades this condo has made. The location was great. The furnishings are a little dated and there were no bedroom curtains. This condo was rated as Deluxe, and it was anything but! The only thing deluxe was the location. The place was not that clean, the deck furniture was rusted. Do not wear white clothing and sit in the metal chairs. I ruined a white top doing just that. The top dresser drawer in the master bedroom was broken. I actually lined the drawers with towels so as to protect my clothes. I have stayed in Oceanside Villas many times, and this was by far this worse unit I have ever stayed in. I was told that this was one of the best units on the day I rented it. I hope that is not true and I feel as if I was mislead. Upon our arrival, I had to ask for comforters for the twin beds in the second bedroom. I was ask if I had blankets as if to say that should be enough. There was no ironing board which I did not complain about and simply ironed my clothes on my bed. I did not feel that complaining would have done much good. Coming to Isle of Palms is always a great time for me and my family. And this condo did not ruin my week, but I feel sorry for anyone who rents this place. Please read this and know that this place is far from even an average rating. Pass this one up and keep looking. There has be something better! We had a nice vacation, however we were very unsatisfied with the particular unit that we rented. It was recommended to us by one of the Island Realty agents. It was affordable, but pricier than any of the other units we were looking at. We were told this unit was the one to go with, because it had a "deluxe rating... Upon arrival, we quickly learned that there was nothing "deluxe" about this unit. There were countless cosmetic defects throughout the unit. None were major in their own right, but would not be expected in a "deluxe unit." The furniture was very old, and scratched up (especially in the bedrooms). The walls had places in them and were dirty. The ceiling was messed up around one of the light fixtures. The dresser in the master bedroom was barely usable. 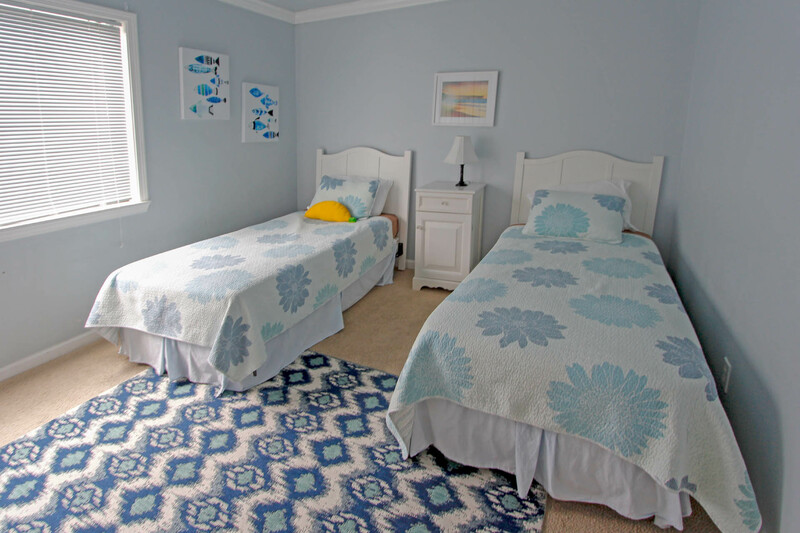 The beds and décor in the guest bedroom were completely different than what was pictured on the site. The decorative pillows pictured on the couch were not present. The carpets were filthy. The hardwood was messed up in front of the hall bathroom. The showerheads had mold growing in them. The dishes and silverware were largely unclean. There was some kind of tray in the front of the utensil drawer that was disgustingly dirty. When we opened the cabinet above the sink we found a dried out, half-eaten piece of cake son a dessert plate with crumbs all around it. My wife emailed the company and one of the agents she spoke with to let them know we were not satisfied. The agent wasn't working at the time. She replied promptly, apologized, and asked if we had gotten anything resolved with the company. To my knowledge, that is the only response we got. We enjoyed our stay, but it was largely despite the unit not because of it. I think we would have been much happier if we had gone with a different unit. My parents chose a "good" unit for the week. It was in better condition, seemed cleaner, and they spent less. I love the Isle of Palm; but I may use a different realty company next time. Thank you for letting us know your experience. We here at Island Realty strive for an excellent stay for all of our guests. Island Realty is glad that you were able to speak to one of our managers and she was able to give you a refund for your issues. We would like you to know all of your suggestions go straight to the owner. We appreciate our guest feedback. It is how we improve. We hope to see you again next year for a more enjoyable stay. 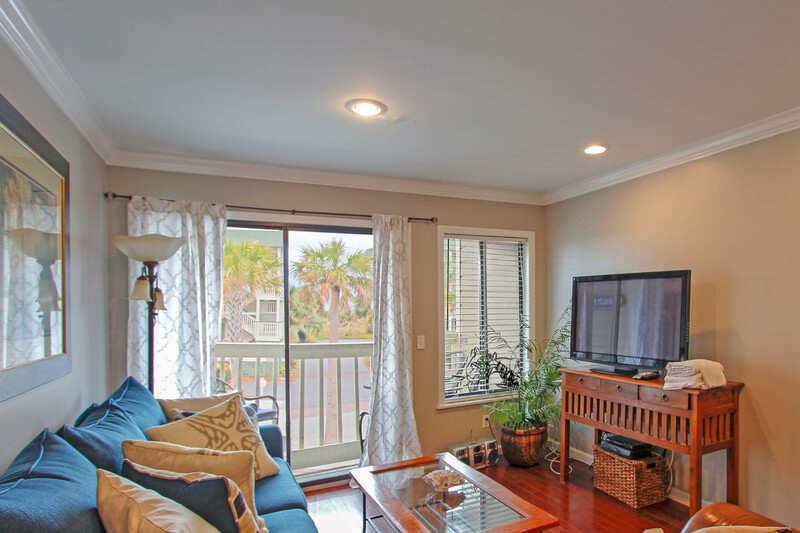 Only 1 suggestion (everyone that owns a lease property on IOP should have leather/vinyl sofas in condo's or homes because cloth just gets dirty and doesn't look good over time. We are very clean people and it would just be easier to wipe down a leather/vinyl sofa - can't clean cloth. More sanitary to have leather/vinyl (I understand leather is more expensive but I would even prefer a vinyl sofa over cloth) in a rental. Other than that we loved the condo and would rent again. Great location, love the size of the condo! We LOVE IOP !!! Thank you Island Realty for all that you do! This rental is a typical condo experience, nice place, small pool, great location. The pictures tell the story of the experience minus what you have to remember, this is a condo which will come with noise from above and below, not everything will be as new as the pictures because typical wear happens, even in our own homes. The reviews mention needing a cleaning, and that is probably true, but every beach place will have a few needs after renters who may or may not treat the place with the same care as their own homes. I also experienced finding dirty dishes as one renter mentioned, but we realized it was because the dishwasher soap door didn't open during the cycle and we reported it. I loved the location, just wish other condo users would respect noise levels. Was disappointed in the cleanliness of this unit. The staff at Island Realty did address most issues quickly. This unit could be nice with a few repairs. Oceanside Villas are a perfect location. Thank you for taking the time to send us a review. Island Realty is glad that we were able to address your issues in a timely manner. Please do not hesitate to call and ask to speak to a property manager anytime you have any issues. 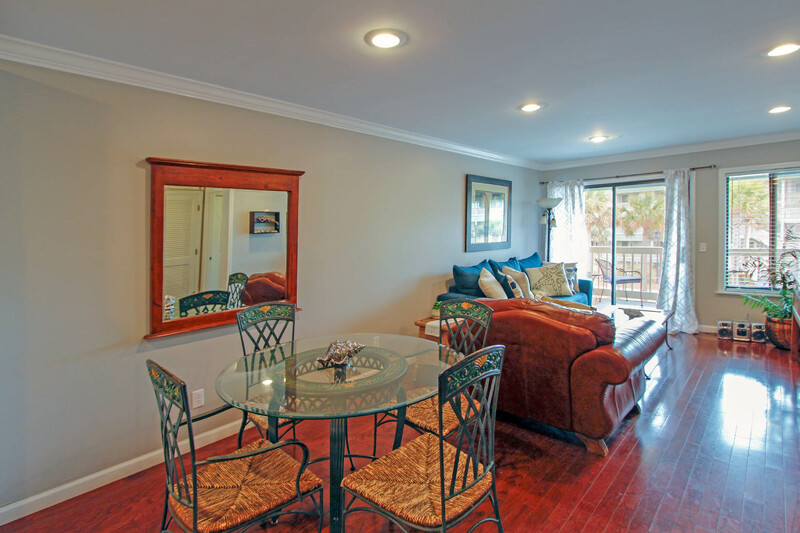 We hope the next time you visit the Oceanside Villas you will have a more enjoyable experience! The apartment is a perfect location. It needs a thorough deep cleaning. 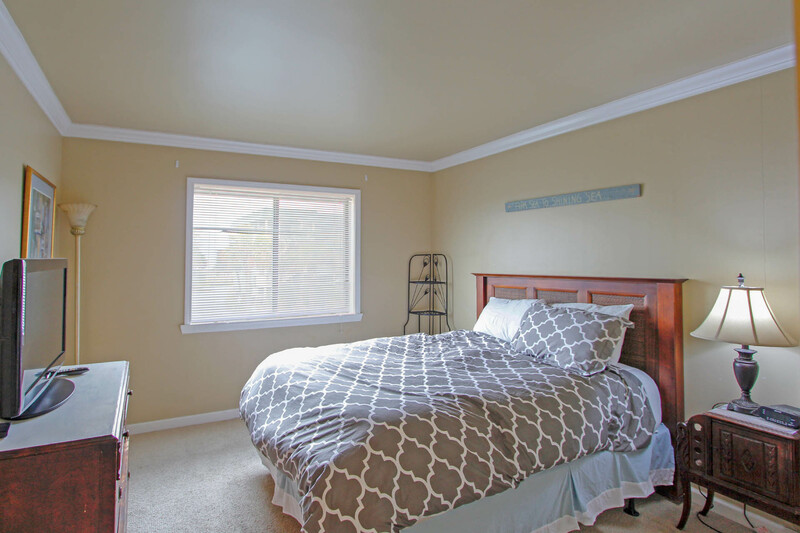 The bedroom carpets need to be cleaned or replaced. Same goes for the sofa. A small island in the kitchen would help. Counter space is needed. Island Realty would like to thank you for your feedback. Without our guest opinions we could not improve. Island Realty will take these suggestions to the owner. We would like to share with you that a deep clean has been scheduled for this unit. Thank you again for sharing your experience and suggestions. Pics nice, condo not ! Very disappointed in this condo. Have stayed at Oceanside many times. Sofa, pillows, carpet, lighting and outside area filthy. Owners need to do replace sofa, etc. Kitchen, dining area good, baths painted by a 7 yr old ?! Need better lighting in BR's. very disappointed. Thank you for taking the time to send us a review. Island Realty regrets that you had such a disappointing stay. We would like you to know that we do have a full staff on hand to help you with any issues that have during your stay. We hope that you will join us again for a more enjoyable stay next time and please do not hesitate to reach out to our staff while you are here. We had a nice stay at Oceanside C210. 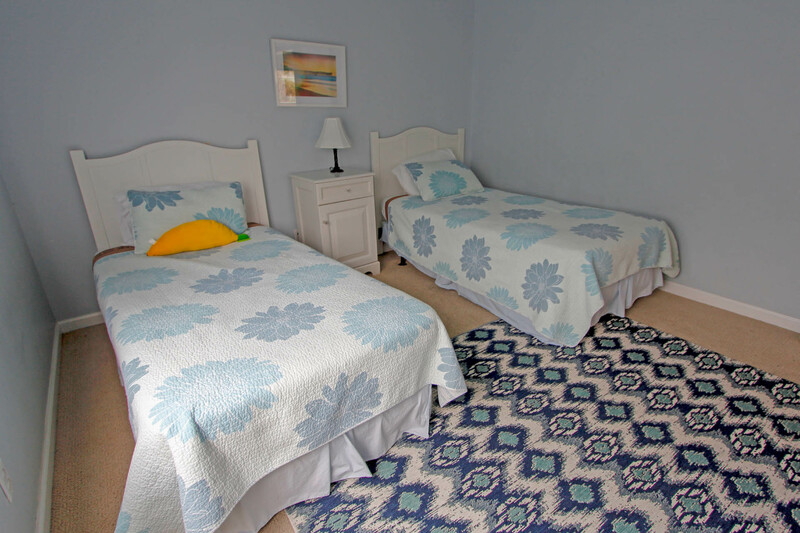 We had two small children with us, and the second bedroom and bathroom were perfect for them. The kitchen was well-stocked with dishes and pans (bring your own hot pads!). It's across the street from a nice beach access -- and the beach was very pleasantly uncrowded and clean. The downsides were that the rental was not cleaned very well when we first walked in -- the toilets had scum along the inner rim, the floors were still sandy and the coverlets on all the beds were pretty stained and gross (luckily I brought our own). The pool is small and not great for little kids because it is so deep - so we mostly skipped using it. This unit looks towards the ocean so there was minimal noise from car traffic along Ocean Blvd. I could see how units facing the pool would be much louder though. We heard just about everything that our upstairs neighbors did - so we were glad that we thought to bring along our sound machines to muffle the noise at night. I called management several times to complaint about the dirt, the noise, to check on whether the parking lot had a tendency to flood (there was a big storm one night), and to report a countertop issue -- each time the employee said he'd check with his manager and get back to me. It never happened. Island Realty would like to thank you for taking the time to send us a review. We regret that no one called you back to help you with your issues. We appreciate your feedback, it is how we improve our service. 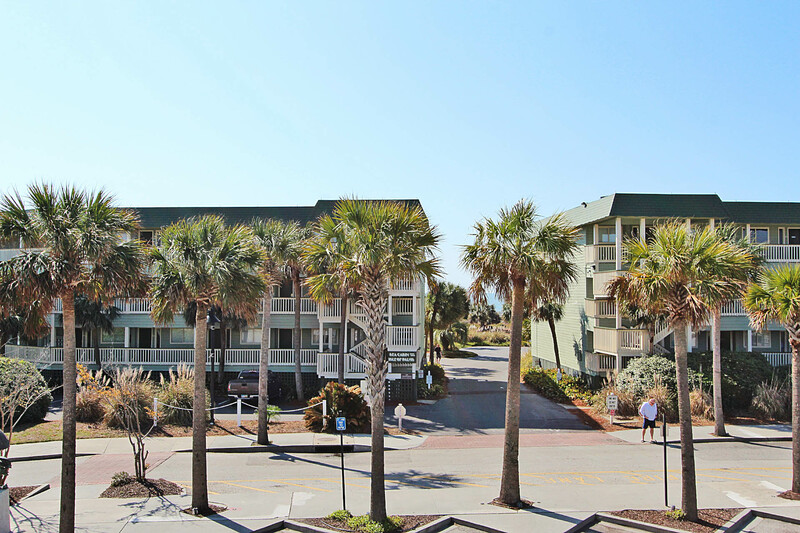 We hope that the next time you visit us at the Isle of Palms you will have less problems with noise! This was our first time staying in C209. We've stayed in C109 for the last 2 years and other random units for the last 5 years. Upon first glance the place looks great, but after a day or two the little problems begin to add up. The shower floor feels as though you are about to fall through it, sliding door to balcony has 2 spots it gets hung up, no counter space in kitchen. Great view from balcony, though! Thank you for taking the time to send us a review. We are so glad that you enjoyed your view. Thank you for letting us know about the shower, and the sliding glass door. We have noted these issues and will be addressing them because of your feedback! Island Realty welcomes you back again net time you are on the Isle of Palms and visiting the Oceanside Villas. The overall experience was fine. I was disappointed with how this unit was described - it was said it was a renovated unit - the kitchen was renovated, the 2nd bedroom was nicely painted but the living room, the sofa in the picture, the master bathroom certainy was not renovated. the sofa is dirty and worn; the bathrooms need to be up-dated. I was also disappointed that the people below us smoked which made its way up to our balcony. At points, I would go back to the living room just so I did not have to smell the cigarette smoke. 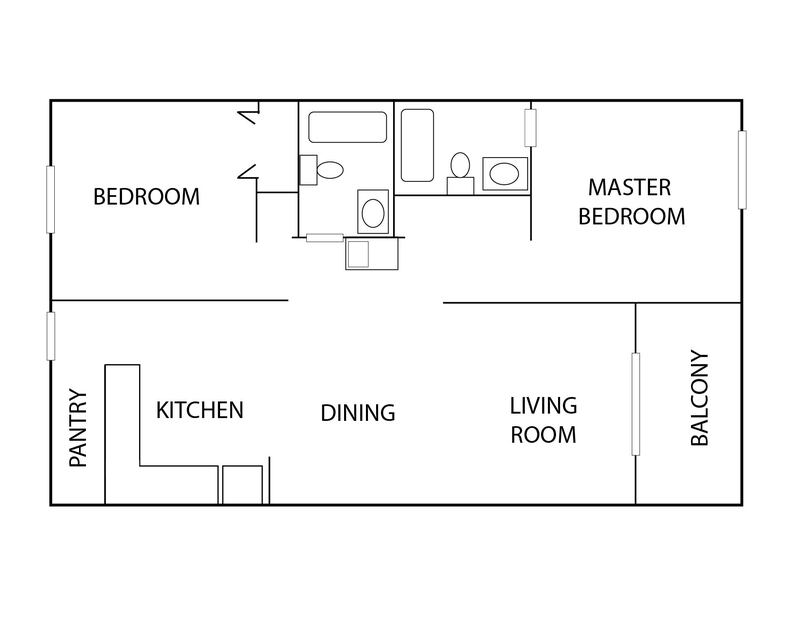 I do wish the master bedroom had a king bed - that would help the unit. it was not explained about the grills; the pool was fine and access to the beach was fine as well. I definitely would not want to have a unit overseeing the pool - those units would be both loud as well as people just used close hangers to hang their clothes out to dry - not the best look as we sat at the pool. side note - the clock in the bedroom did not work - minor, just annoying. Thank you for taking the time to send us your feedback. It is regrettable that you had to deal with your neighbors smoking, and the towels hanging on the balcony. Island Realty appreciates your suggestions for the condo. We will take this information to the owners of this unit, we are always looking for ways to improve. We hope to see you again the next time you are on the Isle of Palms. Thank you for your review'! Island Realty is so glad that you enjoyed your stay. 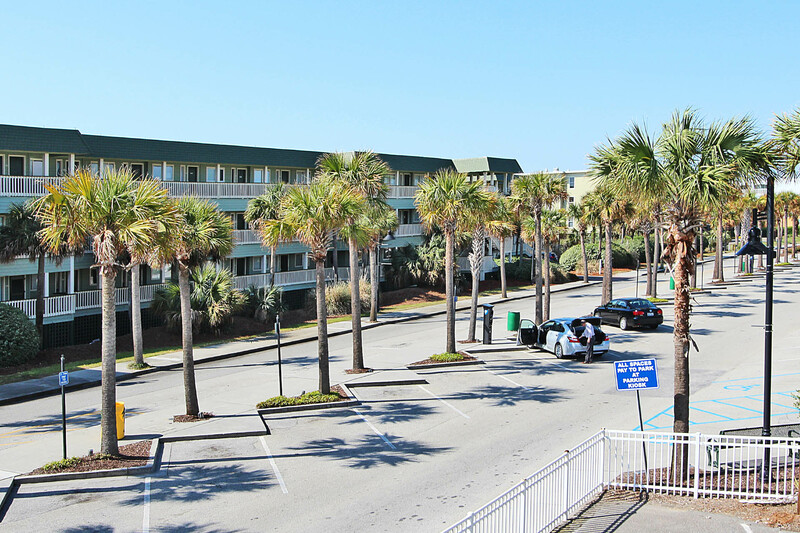 We look forward to the next time you visit us here on the Isle of Palms! Great location for the price; you can actually see the ocean from the porch. Carpet and furniture very old and worn but the kitchen was updated. Some dishes had to be washed when we arrived because they were put up dirty. Overall a good stay and good location. Condo just needs a little freshening up. Thank you for taking the time to send us a review. We appreciate your suggestions and look forward to you joining us again next year to see all the updating that we do! Not unpleasant, but couch and carpets REALLY need to be cleaned! Overall our stay was very good. The couch is disgustingly dirty and there were stains on eh carpet in both bedrooms. We were a little bit disappointed with the lack of kitchen items, i.e., no hot pads, no kitchen towels. Things that are easily fixed. We love the location and would stay again. Thank you for taking the time to send us a review. This information does go directly to the owners. We are so glad you had such a nice time and these items are easily fixed and we hope to see you next year! We are delighted you are enjoying your stay! This year has been a perfect year for getting away from the cold (albeit beautiful) winter snow! When you are downtown on Sundays, if you go on the second Sunday of the month, you will see many local artists playing troubadour on the cobblestone streets! And coming soon at the bottom of the Isle of Palms connector a dueling piano bar called FILL. Opening night is Feb 12 is their Grand Opening! Thank you for taking the time to send us a review and Enjoy the rest of your stay! Another great Isle of Palms vacation. 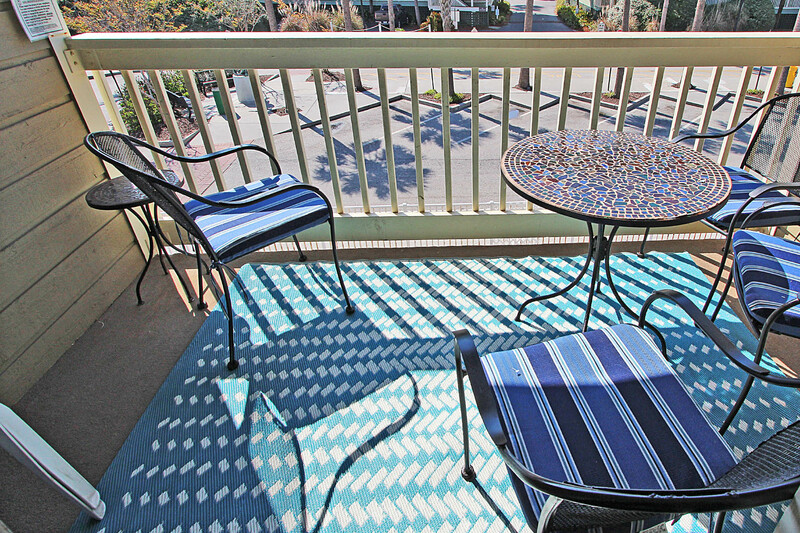 We love staying at Oceanside Condos and will continue to come back again and again. Overall we were satisfied with the experience. The property had tiny bit of the ocean view. Didn't hear the neighbors- big plus! The kitchen had all sorts of utensils and dishes and pots which was nice too. There were also beach toys for the kids. The only things that could be improved are the sofa which has lots of stains and doesn't look inviting for sitting on and the carpet which is in dire need of replacement. Otherwise clean. Thank you for the information!! We appreciate you taking the time to give us your feedback. The owners have been made aware of these issues and are working on them .We have already scheduled the unit for a full carpet clean. Thank you again and we hope to see you again next year! 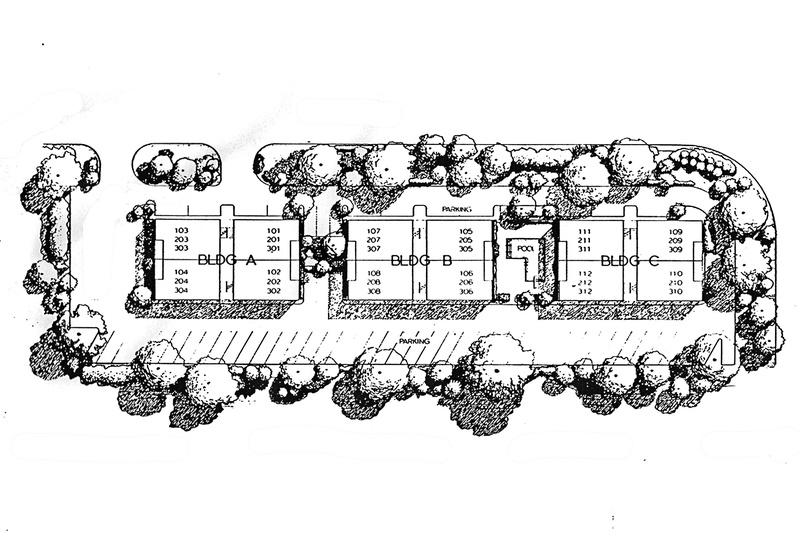 We have stayed at the complex many times in the past. We have stayed in this particular unit about 3 years ago. The condition hasn't changed in 3 years. We had numerous noted broken items such as: Refrigerator door not sealing; Part of the interior was broken in the refrigerator; Half the microwave front was missing; Exterior light out in the balcony; Toilets and floors was dirty upon arrival; And, the bedroom furniture hasn't to be at least 25 years old and in bad condition. Thank you so very much for your feedback, it will be helpful to both the owners of Oceanside 210 as well as to Island Realty. We recently added new bedding and a new coffee table in the living room and have plans for a few additional improvements this coming Fall. Prior to your arrival a long term guest was in the condo for 3-4 months and upon that long term guests departure, the day prior to your arrival, we did identify several small maintenance issues with the fridge which are being corrected/repaired/replaced this week. We will be better from your honest feedback so thank you and please understand that we apologize that these items were upsetting/disruptive to you all during your vacation time at the beach. loose most of the arrival day. Condo could have been cleaner. Bathtubs in poor condition. Additional towels would be nice for week long stays. But overall, this is a great location and I enjoyed my stay.